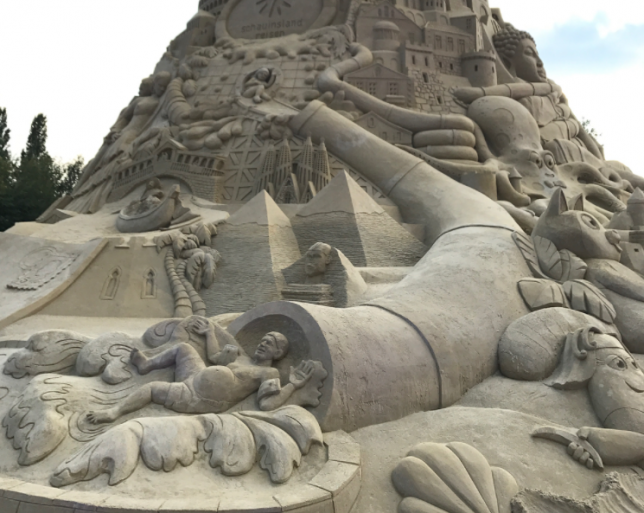 It’s virtually impossible to get a sense of just how large this world-record-smashing sand castle really is until you see a shot that includes crowds of tiny humans gathered around its base. 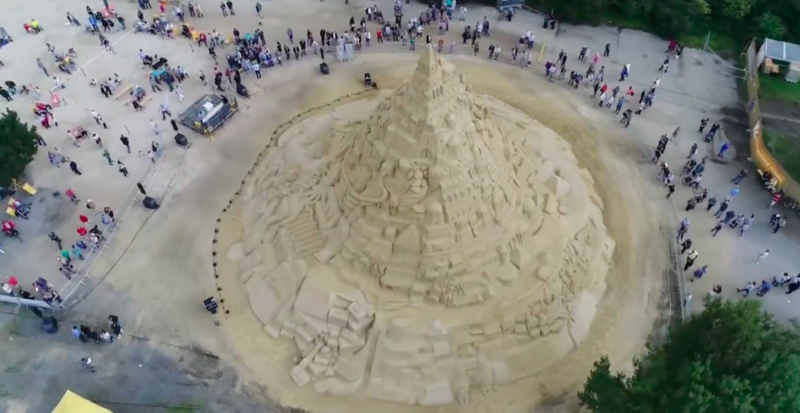 The German city of Duisburg may be landlocked, but that hasn’t stopped it from hosting an enormous sandcastle building effort two summers in a row. Last summer, their attempt at snagging the title was foiled when the castle faced a minor collapse during the building process. 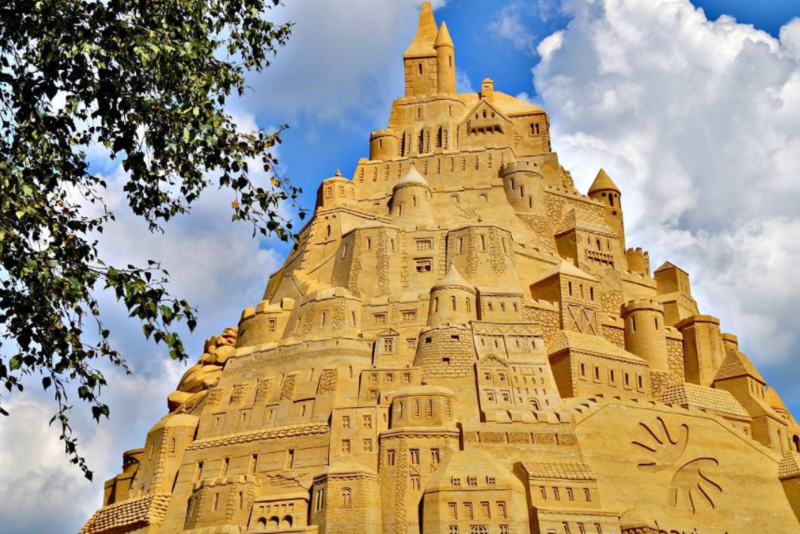 This year, they unseated a record set by a 50-foot-tall sand castle in Puri, India in February with their 55-foot-tall creation. It took 3,860 tons of very fine quartz sand, a team of designers from 10 countries and three weeks of building time to complete. The sculptors incorporated imagery from their own nations and histories, resulting in an interesting mishmash of global influences. Look closely and you’ll spot the Great Sphinx of Giza, the Acropolis, a Buddha, Elvis’ grave and the Colosseum. A Guinness World Record jury judged the enormous sculpture on Friday, making the win official. Want to check it out in person? 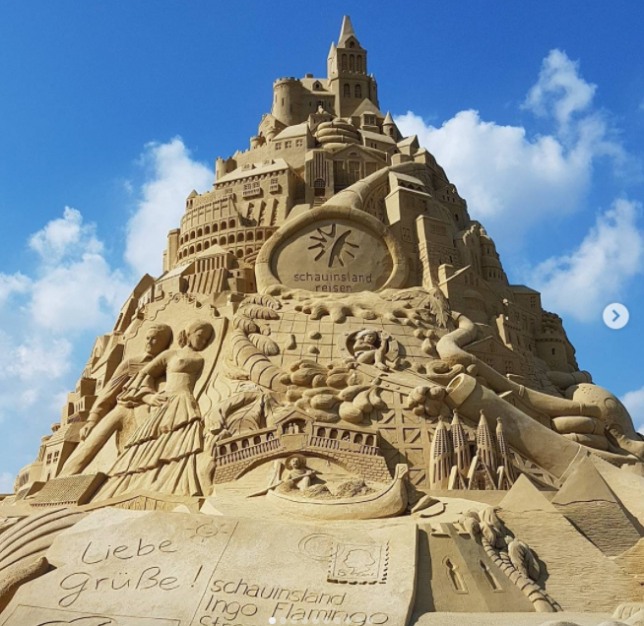 The city of Duisburg will keep the sandcastle standing through September 29th, assuming something doesn’t cause it to collapse before then. 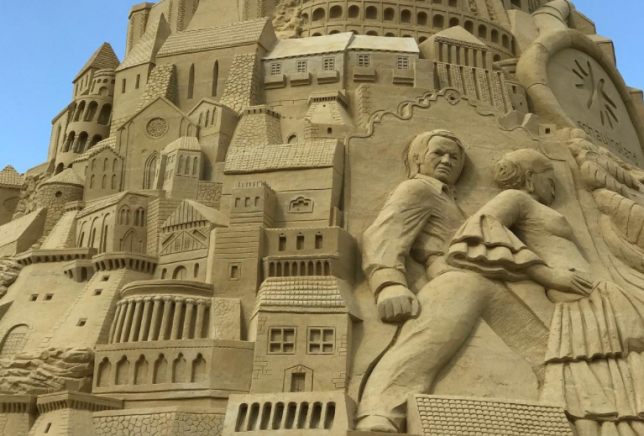 You can see lots more photos of the sand castle by searching Instagram for the tag #landschaftsparkduisburg.